Every bite has a perfect combination of the chicken and mushrooms. 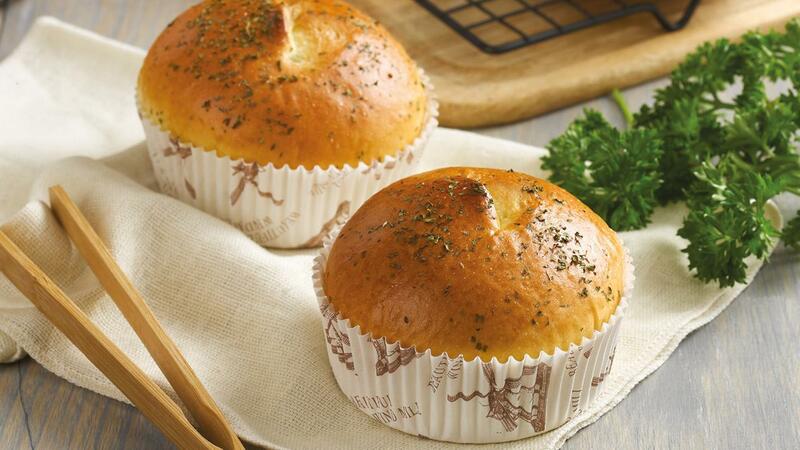 These buns will be perfect for your day. Mix all dry ingredients and add the water, margarine and egg yolk. Mix them until the dough are getting soft and smooth. Leave it on the table for about 20 minutes. Weight the dough, slice it and form sliced dough into a ball. Form and fill the dough as you want to. Then, arrange the dough into a baking dish. Ferment the dough to make it leaven. After that, bake at 180°C for 15 minutes. Sauté the chicken, onion, mushrooms and paprika until they are cooked. Then, add the sauce and mix well. Add the flour to viscous the sautéed ingredients. Mix them well and leave it to reduce its temperature. Sauté the mashed seasoning until it’s cooked. Next, add Knorr Demi-Glace that has been blended with the water. Cook them until it’s getting coagulate and add other ingredients. Mix them well and leave it to reduce its temperature.